To sign up to volunteer: Please see our calendar on Bloomz. Scroll down to the date you'd like to volunteer and look for open volunteer slots. Then click on the slot and confirm. Use our classroom Bloomz account to see weekly pictures and updates on what we are learning in the classroom, connect with other parents, volunteer, sign up for conferences, message me and share photos of our class. This app acts like a private facebook page for just our classroom parents. Get our class' Bloomz code from Mrs. Chen. See the link above to sign up & volunteer. • 8:10 Kids can enter classrooms. We will unpack and do review: Morning work. guide them in reading practice. - literary elements, reading skills. - working on conflict resolution skills and communication skills. •3:20 Walk to bus, car or after school care lines. Specials rotate on an A day, B day, C day schedule. Please check out the Main FTE website calendar to find out if the day is an A, B, or C day. Click on the image above to reach our online scholastic order page. Our classroom code is LHCLL. Teaching little ones means you only have the opportunity to read emails before or after school, but not during. <-- Please click the link to see our amazon page of classroom needs and wishes. All donations are greatly appreciated! This list helps when sending out birthday invitations and Valentines. I ask that if you'd like birthday invitations distributed at school - then the whole class should be invited, (otherwise there are many tears and hurt feelings). If you can only invite a few - then please make prior arrangements to mail, email, or Bloomz message them directly. Thank you. 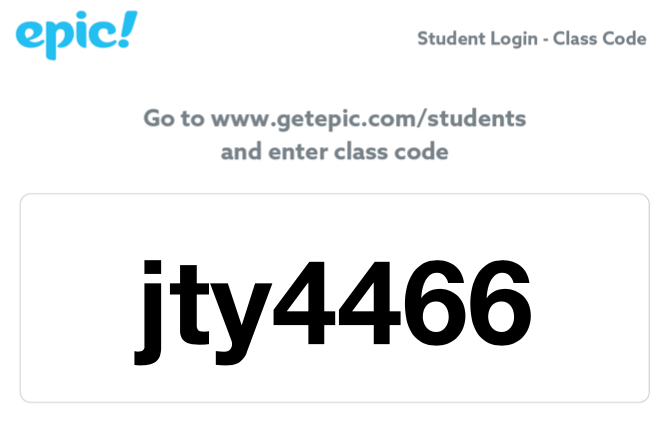 Please click the Epic graphic to see our classroom code and log in to a reading resource with hundreds of books! There are books to read and books to listen to. RAZ kids is another reading resource that your child can use to read books at home on their reading level. They can answer comprehension questions to advance to more challenging books. Mrs. Chen will give you your child's log in information at conferences. IXL is a GREAT math and reading app. Your child will be given their log in information at conferences. Your child can work on skills from Pre-K to high school all in one app.